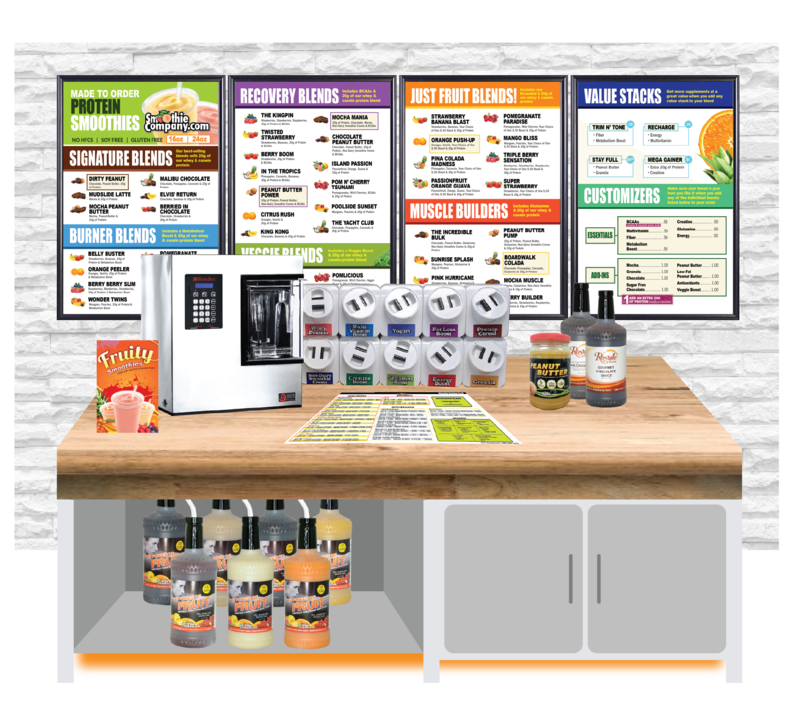 Our turn-key smoothie bar systems focus around creating smoothies that are better for your customers and even better for your bottom line. For health clubs, we’ve streamlined our programs while adding in some fitness focused favorites. We include our low carb, low fat protein powders in chocolate and vanilla along with several popular supplements to allow for customizable smoothies. In this space, we are always evolving, adding new supplements and fine tuning our products to fit in with your customer’s lifestyle making our health club smoothie bar programs perfect for any health focused facility. What makes our customers most excited about our health club smoothie bars? They are so easy to operate they can be run with existing labor. Most of our customers utilize their front desk employee who can blend up a fresh protein smoothie in less than a minute.